This is a real adventure of a tour including highlights such as the famous Geysir hot spring area, beautiful waterfalls and much more. The tour is designed to maximize your chances of witnessing the amazing Northern Lights. You also get to enjoy the warmth of Icelandic hot thermal water in the midst of the winter. The Blue lagoon has become a world-famous wellness and spa attraction. The Riverside Spa in Hotel Selfoss is designed and orchestrated in sense of Icelandic nature. It follows the theme of ice and fire underlining the extremes of Icelandic nature. 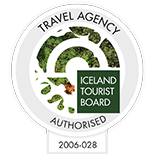 Individual transfer from Keflavik airport to your hotel in Reykjavik. Today, we tour the famous Golden Circle with Thingvellir National Park, the Great Geysir hot spring area, and Gullfoss the Golden waterfall. At the end of the day, we get to the town of Selfoss where we will stay in Hotel Selfoss for two nights. There you enjoy a welcome drink and a short film introducing the Northern Lights in a proper cinema. Weather permitting, a hunt for the Northern Lights will be in the evening in the Selfoss vicinity. On this day we drive along the south coast. We encounter highlights such as the waterfalls of Seljalandsfoss and Skógafoss, as well as the glacier and volcano of Eyjafjallajökull. We will visit the new and exciting Lava Centre. It is an interactive, high-tech educational exhibition depicting volcano activity, earthquakes. It also shows the creation of Iceland over millions of years. We visit and bath in the jewel of Reykjanes area, the Blue Lagoon, before heading back to Reykjavik. 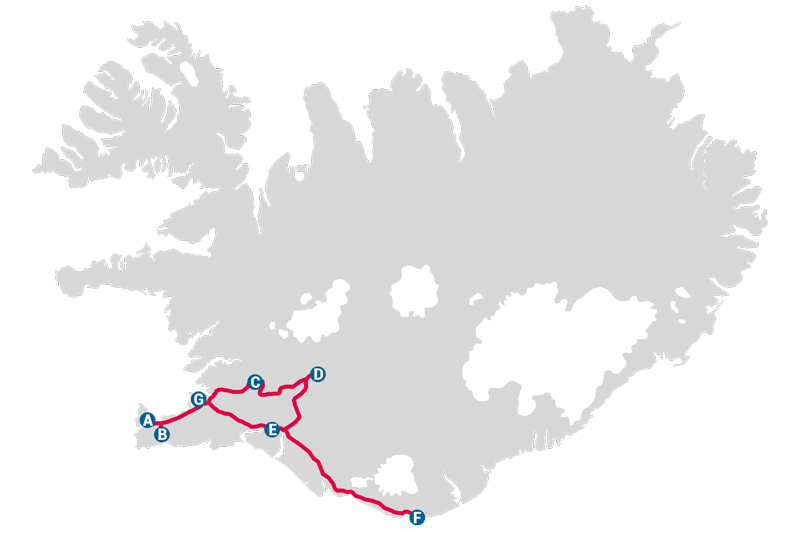 There, we start with a city tour introducing the city’s main landmarks before going to your hotel in Reykjavik. Individual transfer from Reykjavik Lights Hotel to Airport. Weekly Sundays departures (English only) from November to end of March. Weekly Tuesdays departures from end of November to middle of April. Send us a message for quotation and commission. Are you an individual traveler?